The first step in any plan to protect your assets should involve obtaining the right insurance. Many self-employed individuals, for example, do not realize that they need specific insurance in order to protect their assets. One such example is a physician. While most physicians understand that medical malpractice insurance is something they must have, other professionals should also consider the benefit of errors and omissions insurance. Financial advisors and lawyers are just a few of groups who should consider the benefits of using insurance as the cornerstone of their asset protection plan. 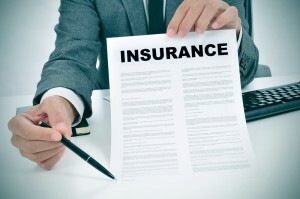 The errors and omissions insurance can be helpful in the event that someone else sues you as a result of losses. Even if the ultimate loss is not your fault, the former client may be looking for someone to take the blame and therefore you could end up in the hot seat. An umbrella insurance policy may also be a crucial component of this essential part of your asset protection plan. Many wealthy and successful individuals are more likely to be sued because other individuals believe that you have the assets necessary to support a lawsuit. A liability policy can help to form the first shield of protection for your assets when someone is hurt on your property or when someone else tries to hold you liable for damage or injury to property.